Whitewater Rafting, Mundaca, Futaleufu River, Patagonia, Chile. More Mundaca fun, Futaleufu River, Chile. 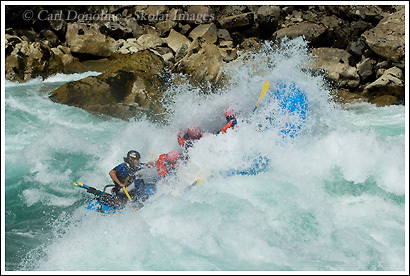 A whitewater rafting trip on the Futaleufu River, hits the Class IV rapid called Mundaca, Patagonia, Chile.